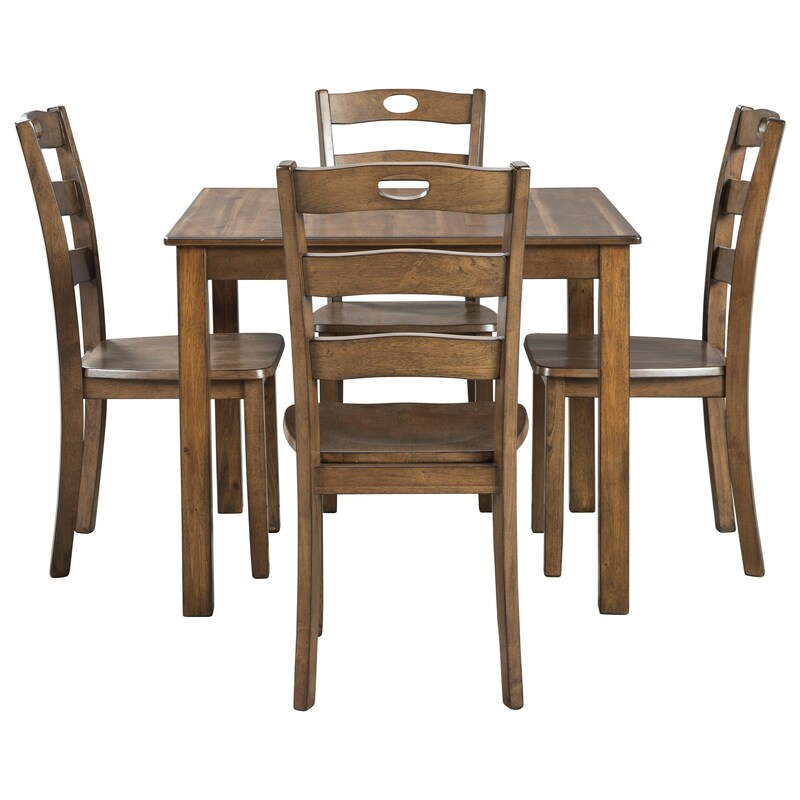 Bring a warm and welcoming feel to the dining area in your home when you add this four piece dining set. Chair dimensions: 17.88" W x 21" D x 37.75 H"
The Hazelteen Square Dining Table and Chair Set for Four by Rooms Collection Three at Rooms Furniture in the Houston, Sugar Land, Katy, Missouri City, Texas area. Product availability may vary. Contact us for the most current availability on this product. Browse other items in the Hazelteen collection from Rooms Furniture in the Houston, Sugar Land, Katy, Missouri City, Texas area.